Time for the next little construction project. Having been made penniless by the demands of my ex's, I am forced to construct a tiny new abode for myself in the guise of a British Telecom red phone box. Seriously (am I ever? 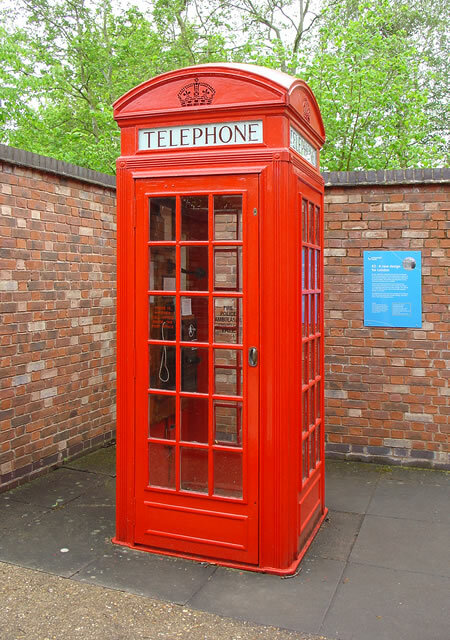 ), I'm going to build a wooden replica of the famous red telephone booths that used to abound in the UK. My telephone box will be installed in the front garden of my little B&B in Phuket. It is purely a marketing gimmick. I know from experience that Asians love all things British, (which is why as an educated and refined Englishman, I have reasonable success getting into their knickers). Heck, if I dressed up as a British butler and addressed my female, Chinese guests as "M'aam", I would probably be frottered and sexually abused by them on a whim. So.... the Asians like famous British 'icons', and what could be more iconic than the red phone box? I initially investigated buying an old phone box, but the purchase price (about 1,000 pounds), the weight (more than 750Kg - it's made of cast iron), and the import costs convinced me to quickly reject that idea. 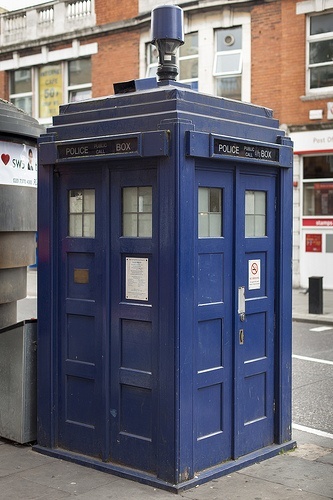 The solution is to construct a phone box out of cheaper, locally-available materials, such that the outward appearance is enough to 'wow' my guests, who don't actually have a clue about the exact dimensions of the original phone box. which describes how to build a replica phone box. I am going to use materials that are as close to the original dimensions as possible, sourced from my local Thai Watsadu store in north Phuket. - The domed top is adorned with the BT coat of arms. Since this box will sit on the damp ground of my garden, I intend to construct the rectangular base from 'it-daing' bricks, painted in gloss red. I'll get my highly-skilled brother in law to construct this - even he can't go wrong making this section! Next, is for me to do is to pop over to Watsadu this morning and see what I can use to construct the sides. To be continued after my visit to the shops. 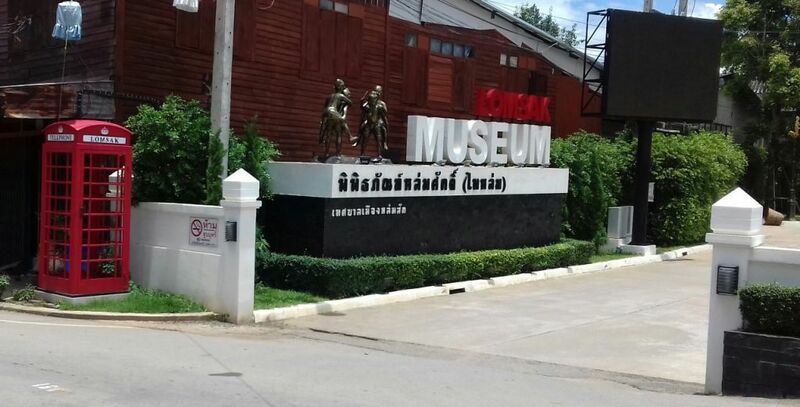 A real one near where I live in Cha-Am...Want a price? If you are going to have Brit guests you might want to replace the actual telephone bit with a urinal so the wood doesn't rot. 555, indeed.. the art of dialling and having a conversation whilst holding your breath has sadly died away in recent years. install a trap door in the phone box, so if any particularly hot chinese tourist gets in, you can flick a swich and she drops straight through the floor to a dungeon. She can wait their whilst you build a hotel for her. Ta Dis, but no trad red box would temind folks of UK than that unique aroma , I believe essence of Earl maybe on draft at your local "cockstop"
Waht is it for Call girls ? Does your red phone box have free Wifi ? Snapped this one at Lomsak in August..